Everyone had to make decisions at school. Some of those decisions still affect us in adult life. So why do impulsive teenagers get told to make important decisions such as GCSE choices whilst struggling with the mental battles that come with puberty? Jack Bennett too had a run in with his geography teacher: Keep going to those Band Practices that Mr Cope ran or rehearse for a non-speaking part in a local play. 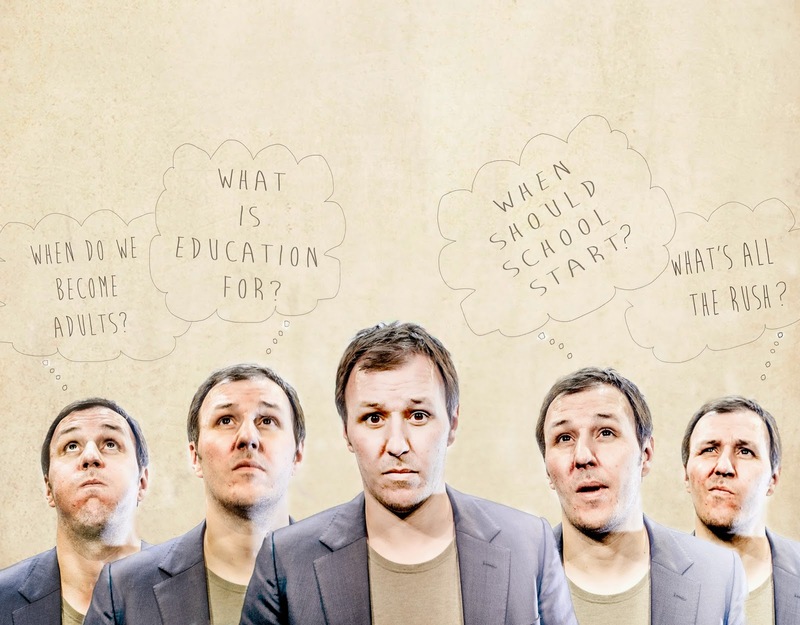 Too Much, Too Young is a one man show about education and all that’s wrong with it. The show starts with a combination of some modern teaching pedagogy as the audience is told the show will be visual, auditory and kinaesthetic. To make a point the handy torches that were distributed at the start are used to make a memory of a stranger sat nearby. Jack Bennett engages the audience with torches, Twister and an array of mini-whiteboards. His passion for an education that never ends effervesces across. This is another engaging play at the Arts Centre that makes you think & question your reality. Just like 2012s “Best In The World” the show is well worth seeing for that very reason.